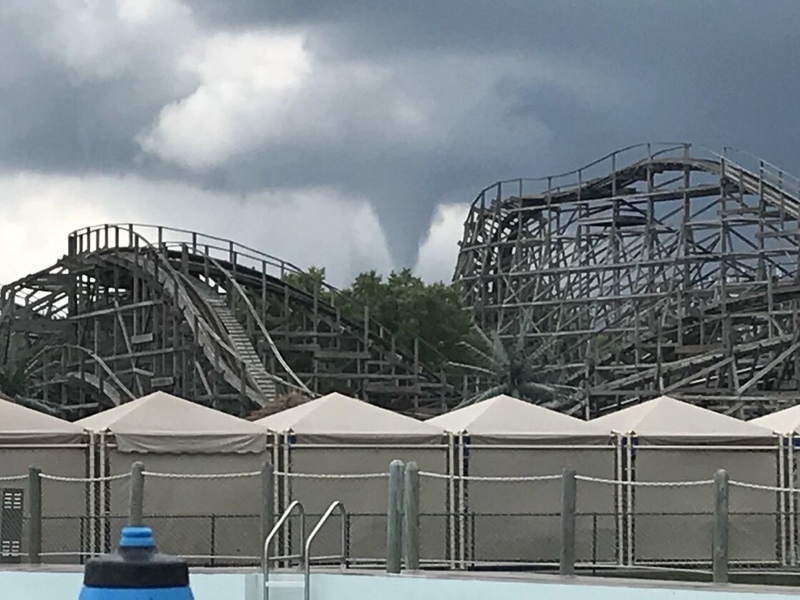 Scary moment from Adventureland park in Iowa this n Thursday as a strong summer storm rolled through bringing in devastating tornadoes. The coaster was The Outlaw, though ironically the park has another coaster called The Tornado. Fortunately no one in the park was hurt, but tons of homes and businesses were destroyed. Our thoughts and prayers go out to the people in the area. If you would like to help those affected by the tornadoes in Iowa, you can donate to the Mid-Iowa Community Action fund click here, where donations will go to help those who’s homes and businesses were destroyed by the tornadoes.